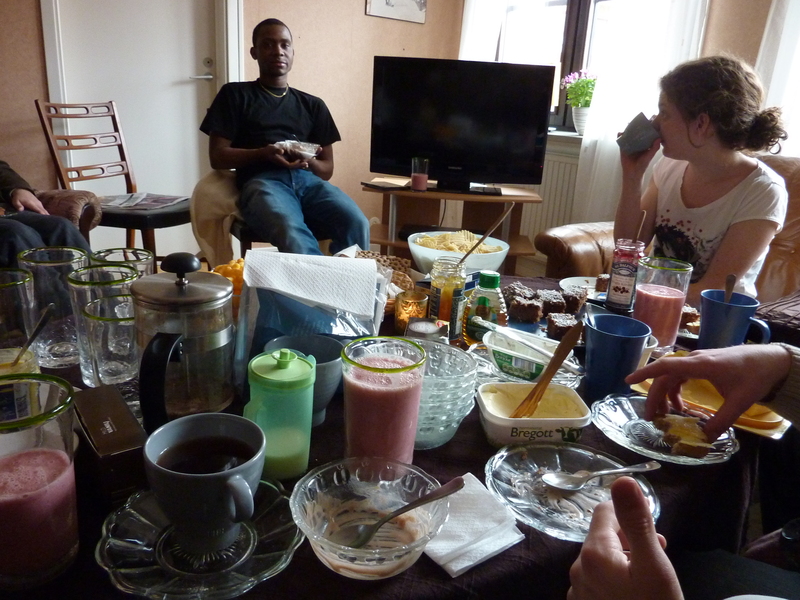 Last monday for discipleship training we were invited to have fika at Miriam (our awesome teacher´s) house! I was expecting maybe some instant coffee and if I was lucky a ginger biscuit. There was so much more! A whole table full of icecream, smoothies, REAL Coffee, cakes, toast, tea, sill, cheese, jam and chips! WOW! Everyday I am so amazed at how the teachers will repeatedly go above and beyond to make us feel loved, cared for and at home. A lot of us are a long way from home, so it really makes a difference to me!